Thanks for all the reviews you produce they're awesome! I've been trying to get this speaker for a while but it's nowhere to be found here in latinamerica. Between hk onyx studio and bose sl mini, which one do you personally prefer? Mainly commercial and Latin genres at low to mid volume. I listened to Sony srs x3 and liked it, and didn't like bose sl color that much, am I crazy? Thanks!!!! The Onyx needs quite a bit of volume to really sound good. I found it a bit anemic at low levels, but it easily outperforms all other offerings at a similar price level if you crank it a little bit. The Sony sounds pretty good at low levels it is only at higher levels where intermodulation distortion starts creeping in. It you liked the X3 why not going for that one? Should I gamble and wait a couple months for the Envaya mini to be available? (To bring the Envaya mini here would cost USD200 total). SRS-X3, SRS-X5 then probably TDK and Bose more or less equal. The Denon is somewhere in between, as it sounds rather "flat", while the Sonys have more boosted bass, especially the X3 with "sound" turned on is very sizzly, which is not bad for very low volumes, but it becomes annyoing at higher levels. Greetings from Miami,FL USA; Im looking for a waterproof speaker to carry to the beach or use it by the pool and I was almost sold on the Denon Mini but per your review does not seem too powerful for outdoors (I like strong bass and I enjoy my Bose Sound link Mini but I dont dare to take it outdoors). UE Megaboom looks to be a good option but way overpriced so I was considering the Braven BRV-X; have you tried the BRV-X by any chance? (On line reviews Ive found states that bass is not so great but it seems more powerful than the Denon). Its a shame that manufacturers dont always reveal RMS power nor drivers size..
From what I heard the BRV-X is nothing special especially if you like bass. regarding loudness: the envaya mini reaches nearly the same loudness as the Bose Soundlink Mini, but with less compression and less distortion. if you need it still louder, why not checking out the bigger Braven HD? or the older 855s? I have seen they sometimes go for less than 200$ in the US. of course you could consider the Infinity One as well, they repeatedly reduced the price to 249, it is back to 299 currently though. or you could wait for the upcoming JBL Charge 2+ which is supposed to be water resistant too. Hi, can you recommend me a portable bluetooth speaker that has a user-replaceable battery and sounds loud and good for the price? my budget is 100 to 150 dollars max. or if you cannot think of a good speakers that has user-replaceable battery, can you suggest a speaker that uses a soldered stack of AA batteries like the ones in the TDK a33? my goal here is to find a speaker that i can replace the battery with AA batteries. im thinking of getting a used tdk a33 for about $55 to $60 and just replace the battery myself with a eneloop rechargeable batteries. do you know any other speakers that uses this type of batteries? thanks! there are not many with this type of batteries that i know. if you like the A33 take this. i am not quite sure if the charging will work well with the Eneloops, as the charging logic of the A33 seems pretty basic. everytime i re-attached the speaker it seemed to start the entire charging-procedure from the beginning. usually this would kill any battery, probably the eneloops as well. when you say "re-attached the speaker", you mean attach the charger to speaker? have you tried replacing the batteries? If your theory is right, it means i should just recharge the speaker when it is below 20% capacity so it would not kill the batteries. am i right? And, so you cant name any speakers that uses this kind of batteries? no, i didn't try replacing the batteries, i didn't find the A33 really that good to justify the hassle. and yes, everytime i attached it to the charger the charging LED lit up again and stayed like that for 1-2 hours, regardless if the batteries were full or empty, could be that the original batteries were already broken and it was because of this, i cannot say for certain. no other speaker comes to my mind which uses simple AA-batteries, most seem to use 18650 cells or some other custom batteries. 25% is not much. mine played for maybe 6 hours at rather low levels, and at maximum volume it always turned off after several minutes. maybe you have luck, but the whole energy management of this speaker seemed pretty unreliable for me. why not go for a Soundblaster Roar, has nearly equal sound but much more features and the battery is pretty good. what i like about the a33 is that i can alway replace its batteries when they started breaking. some other speakers does not offer this which is a turn off for me as lithium ion batteries loses its full capacity after some time of charge cylce. what speakers uses 18650 cells? The sound roar costs above $200 here. the only alternative i can think of is the charge 2 which uses custom-made batteries if im not wrong. the Denon, Sony SRS-X3 all use 18650 cells, but you have to open the unit, in case of the sony not a big problem. the JBL Charge 2 has a very solid 6000mAh battery which even when only half capacity is left will be stronger than that of a soundlink mini. my JBL Charge 2 plays for nearly 8 hours at maximum volume. hardly any other speaker manages that. does the tdk a34 use the same type of batteries as the a33? but just different capacities ? and can i still replace them by just unscrewing the flap at the bottom as in the a33? Congratulations for the YouTube channel and site, for me the best to use like a guideline to buy Bluetooth speakers. 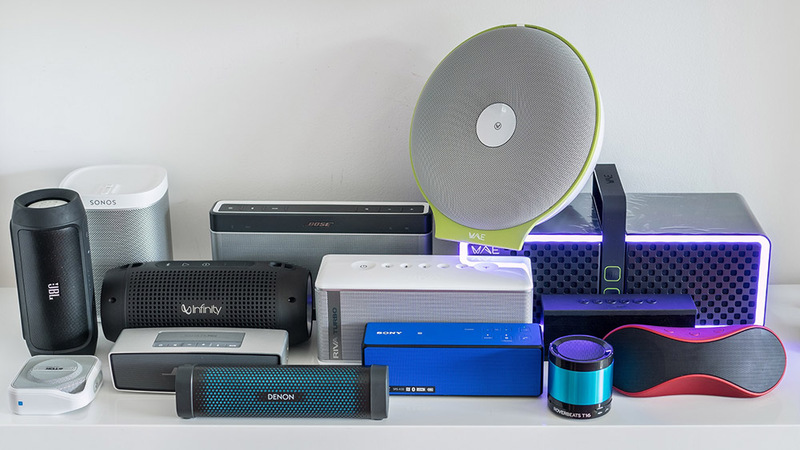 I want to buy an affordable mid-range portable speaker, and im thinking about the denon envaya mini black (more a less 120 euros, in a big retail centre) or bose soundlink mini (more a less 160 euros, in a big retail centre). I know you recommend the denon envaya mini, but with only 40 euros difference, doesn’t the bose gains this fight? -I know bose allows to change the battery (what is the cost by the way? ), and the denon allows it/do it? -If I don’t change the battery the speakers simply die after a few years, becoming furniture? Or work but only if connected to a power supply? My Denon Envaya mini died today, won't charge or do anything. I don't know what the problem is but think there is a good chance it could be the battery. I saw the take apart video but couldn't tell how to change the battery. Can I use a Panasonic NCR18650B protected battery like this? And can I fit in 2 in parallel since the DEM's battery life is so bad even at best? You can't put 2 in parallel because of limited space there.. and existing battery is rated 2600mh with 5 wires soldered on (2red, 2black, white). I found some melted (desoldered) smd components on my DC board - sometimes when battery was mid-low, setting volume on 100% was making reset of device - like instant voltage drop.. I tried to replace the battery and it didn't change a thing....Anyone that managed to make it work again? My Envaya Mini has died too!!! Mine has died too... Any idea what the problem is? Anyone? I disassembled mine and inspected the boards, it seem to be a problem within the power board, some components get very hot and there is no voltage further sent to the amplifier and the other components. I'll try to detach some components and measure them (some diodes are getting very hot), maybe I'm lucky. If someone have already made any progress in this way please let me know. Mine just died while playing (after 5 minutes), too. Won't turn on when not plugged in, when plugged in it just lights up red/yellow repeatedly and a strange sound can be heard (not through the speaker, but from the charing / board). I might try to open it up some time and check if its some transistor / something loose, otherwise I guess I'm outta luck.